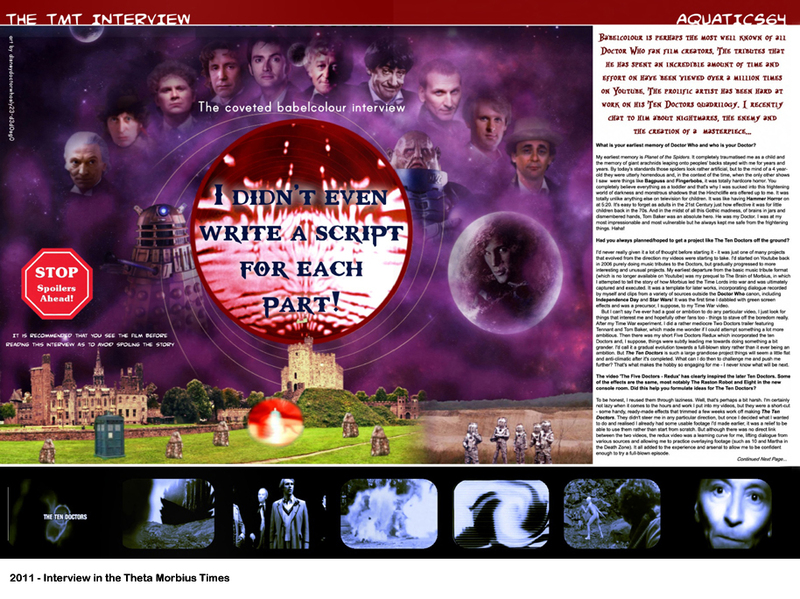 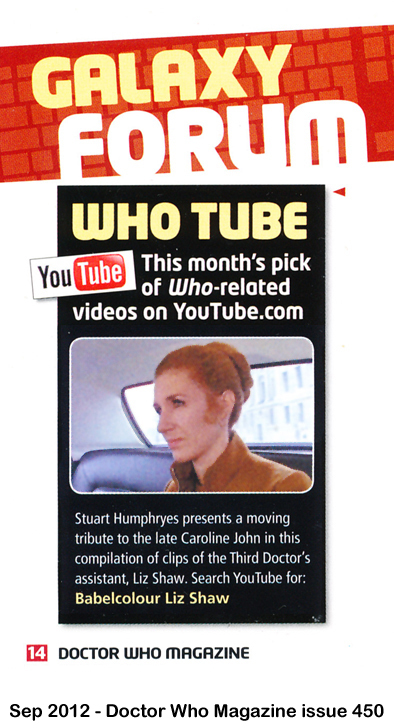 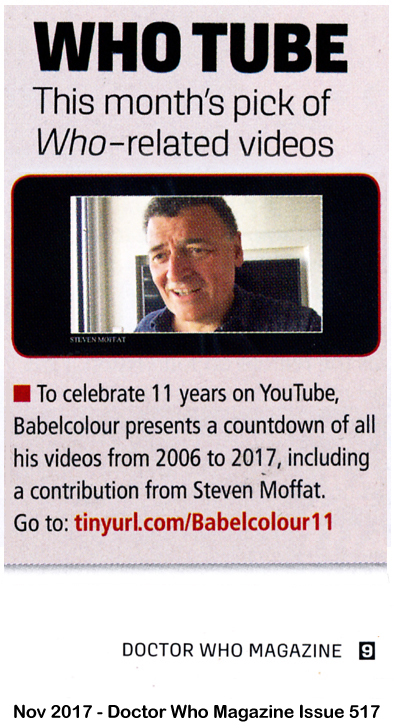 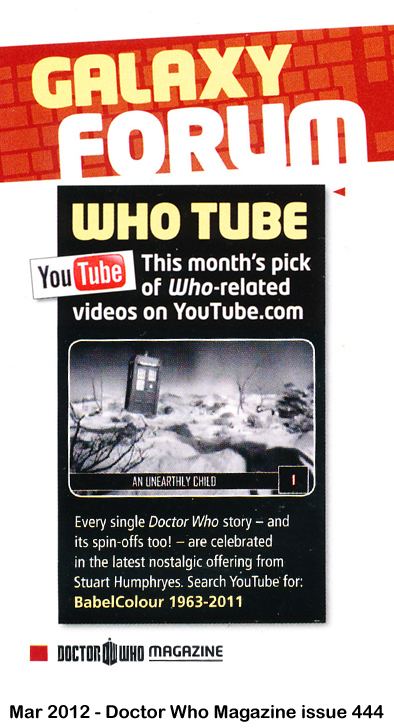 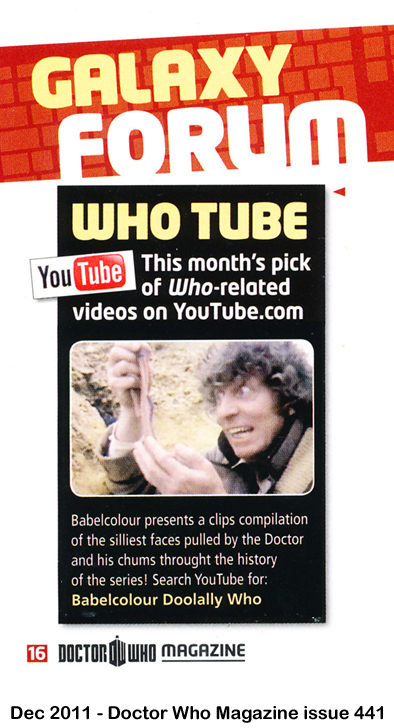 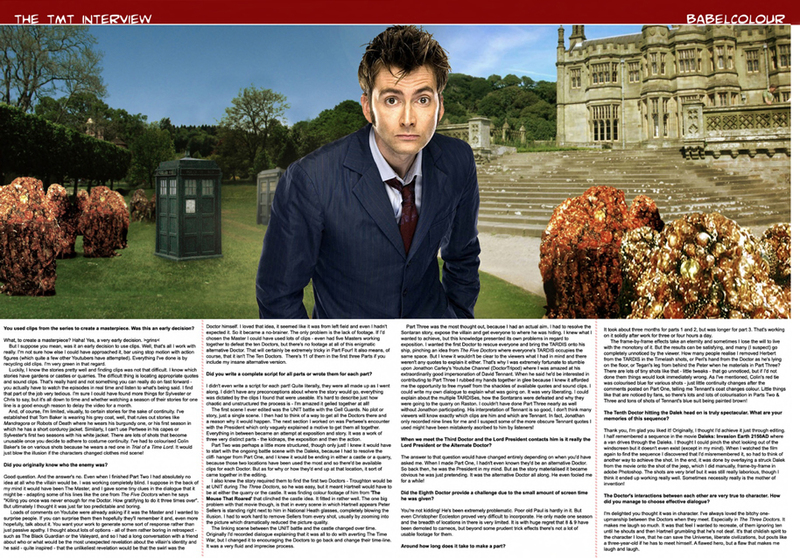 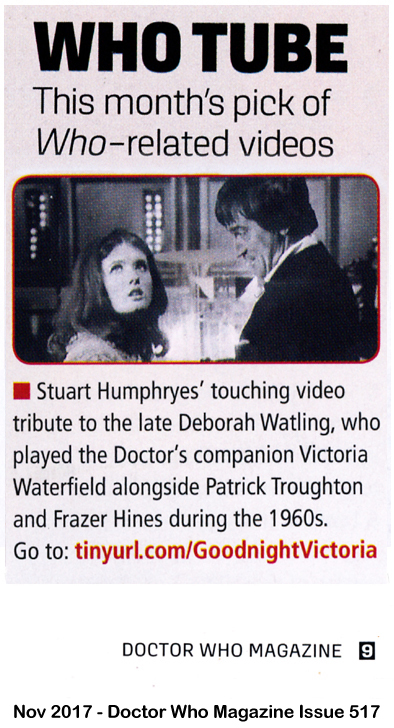 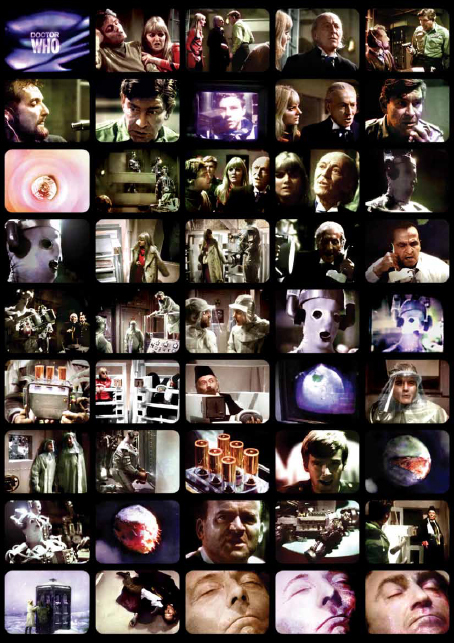 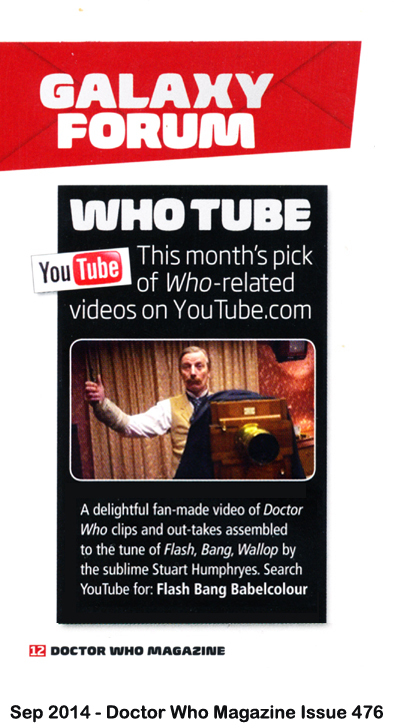 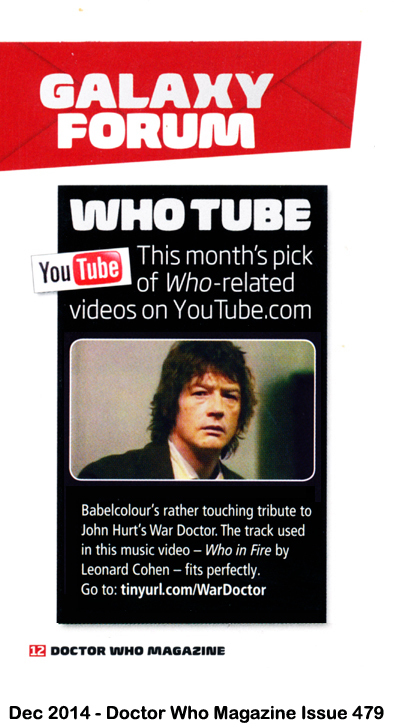 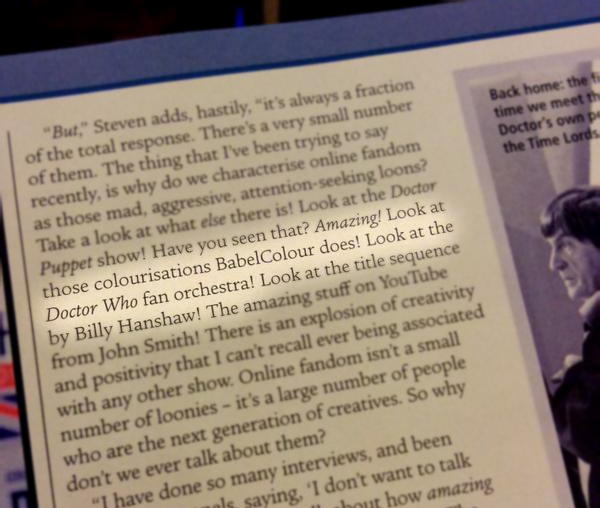 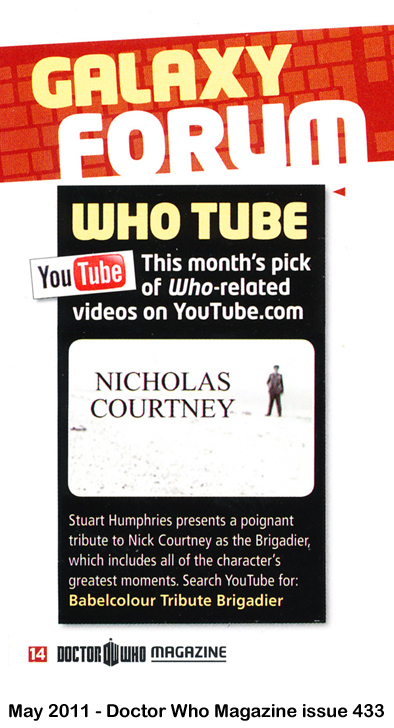 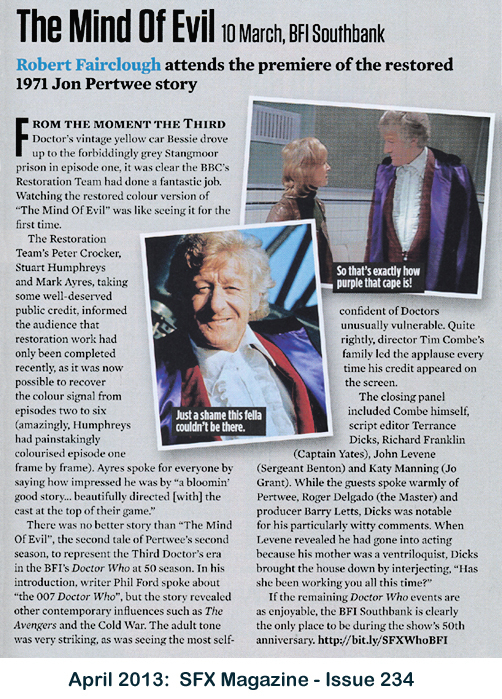 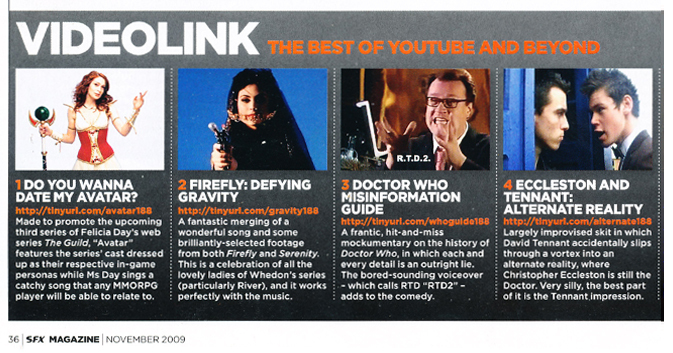 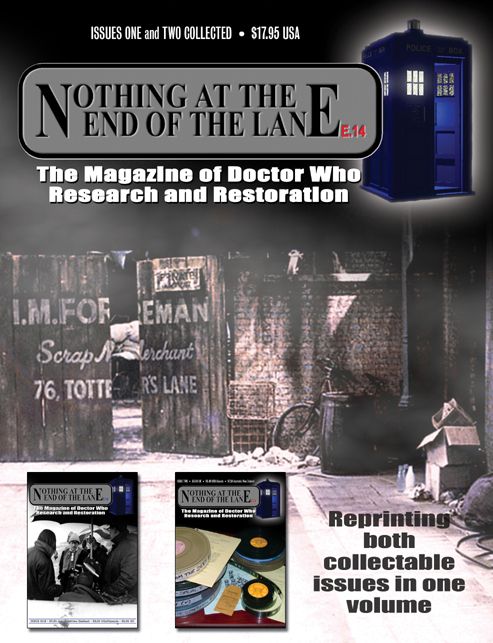 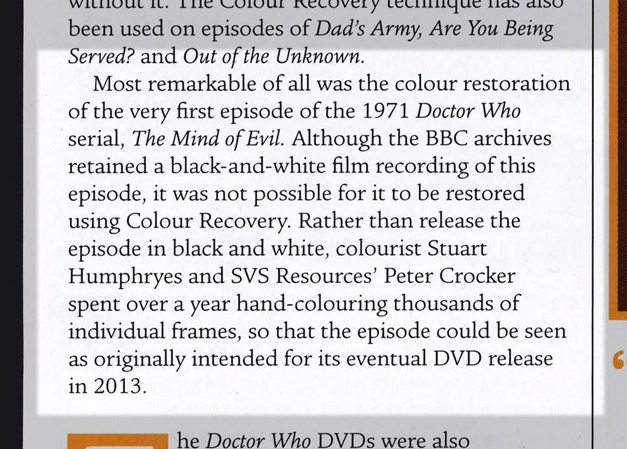 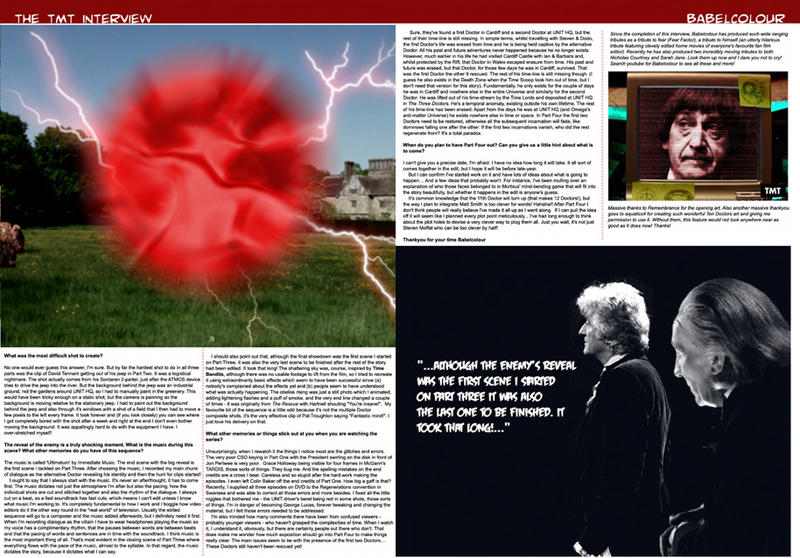 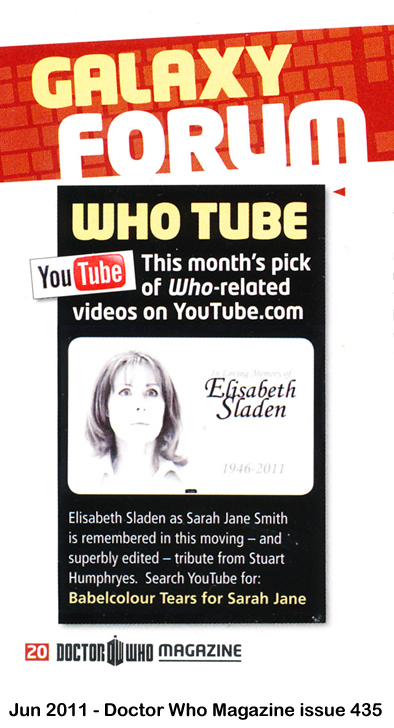 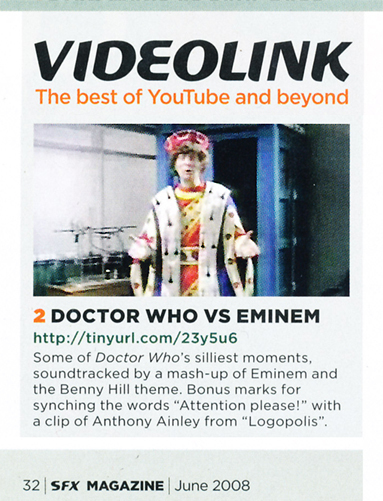 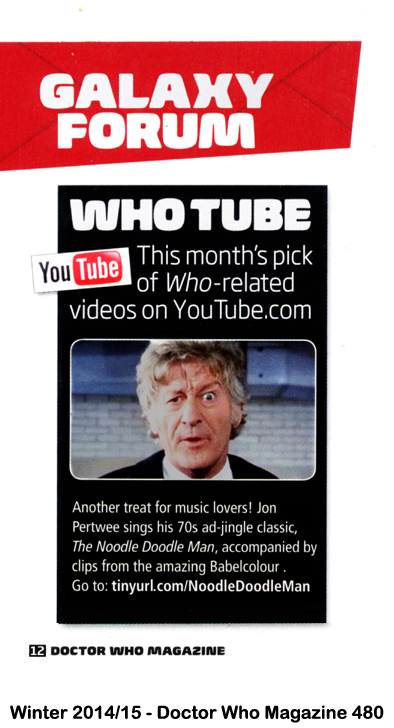 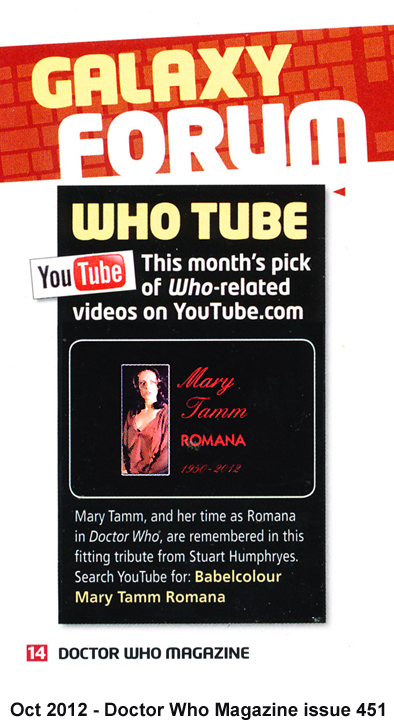 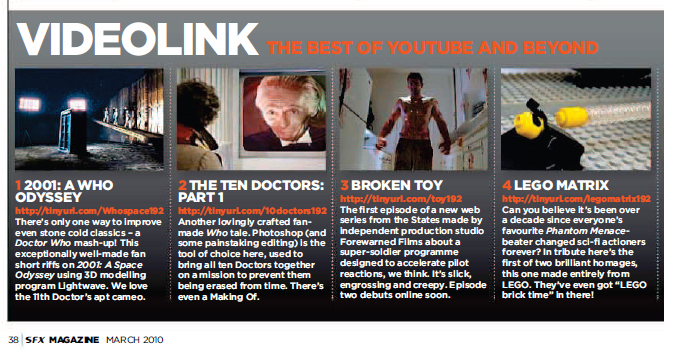 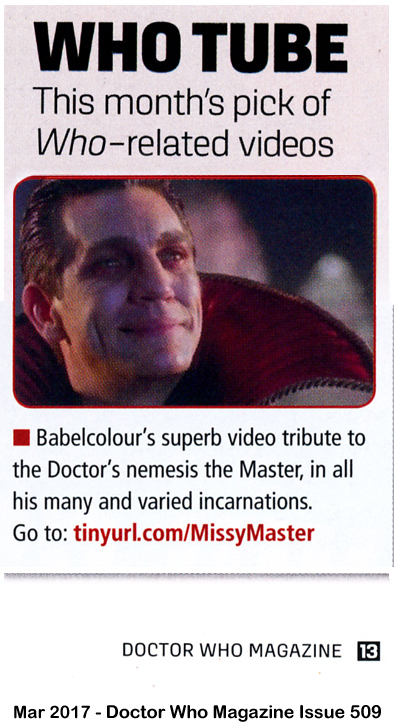 Below is a collection of magazine clippings from Doctor Who Magazine and SFX Magazine, amongst others, which have reviewed and recommended my video work. 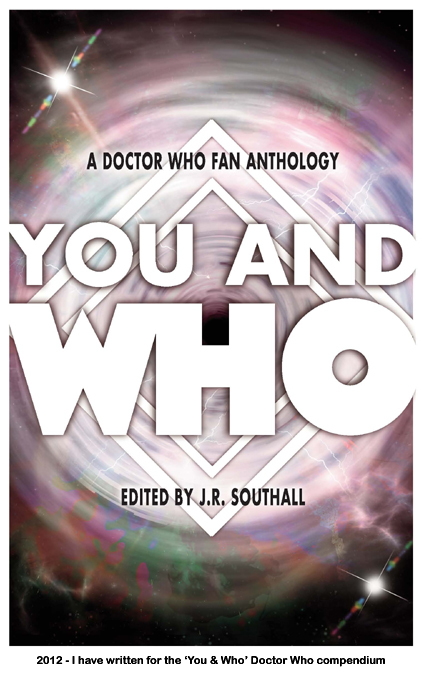 There are also images of the cover of the ‘You And Who’ compendium book to which I have contributed and the telesnap collection and interview I did for the archival magazine ‘Nothing At The End Of The Lane’. 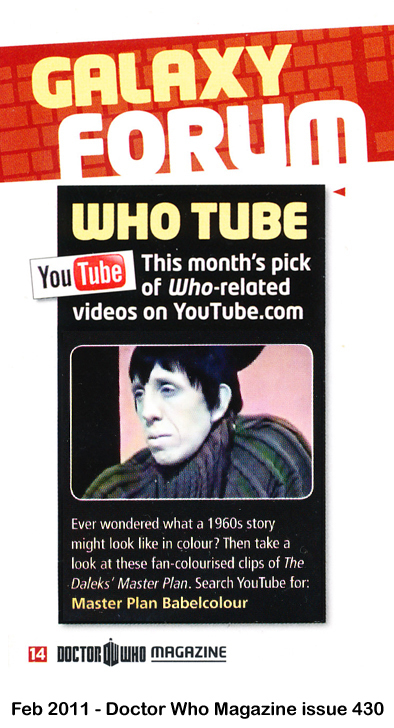 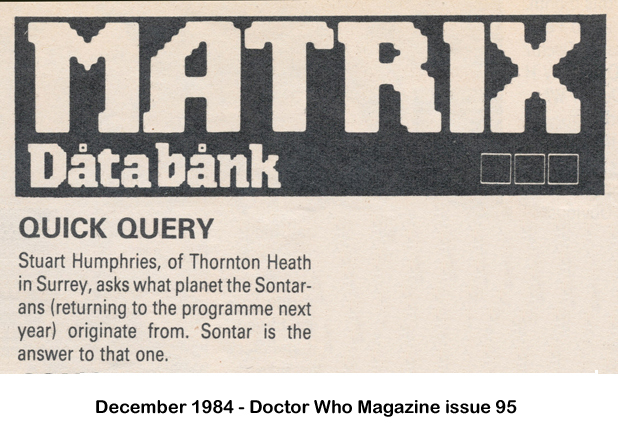 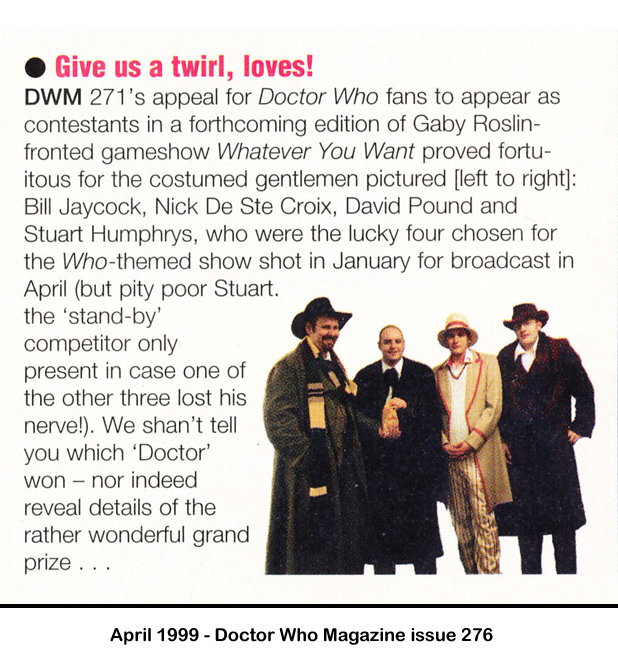 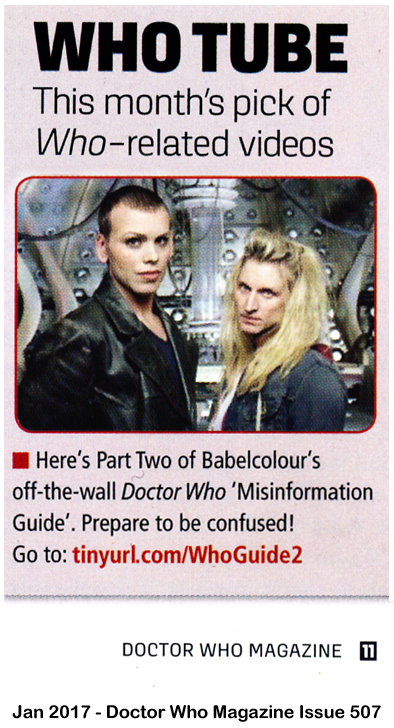 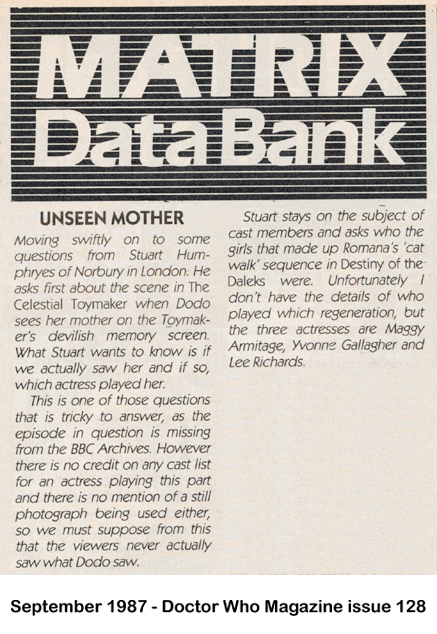 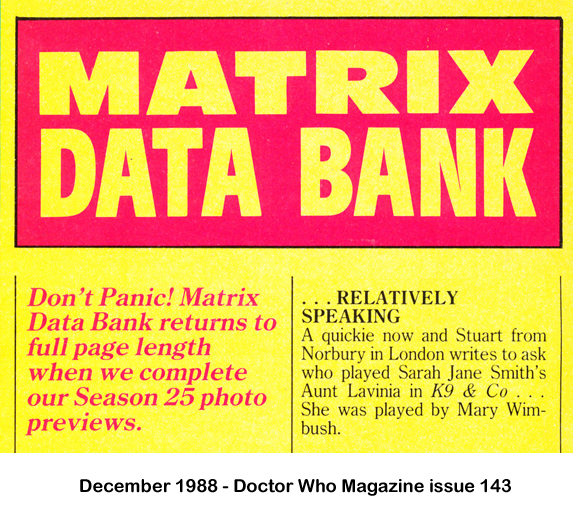 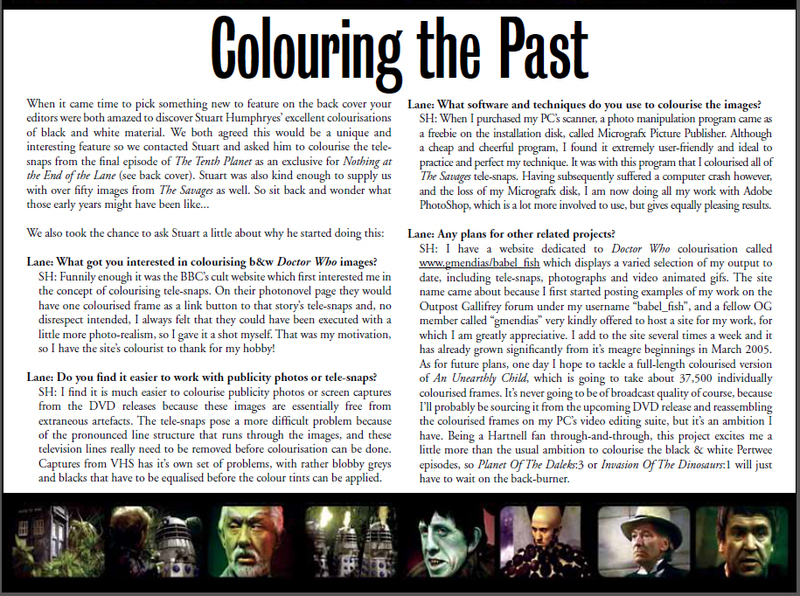 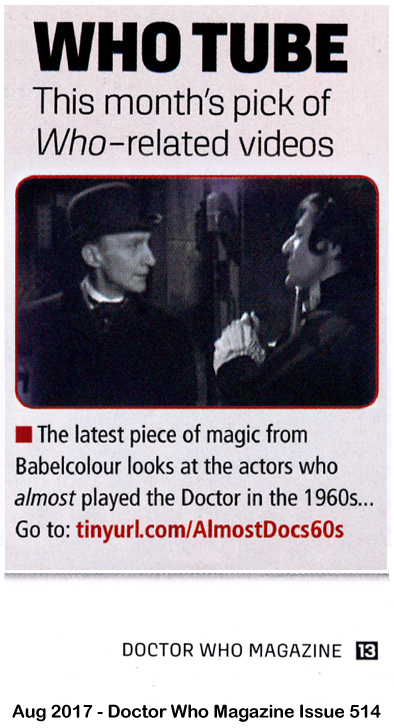 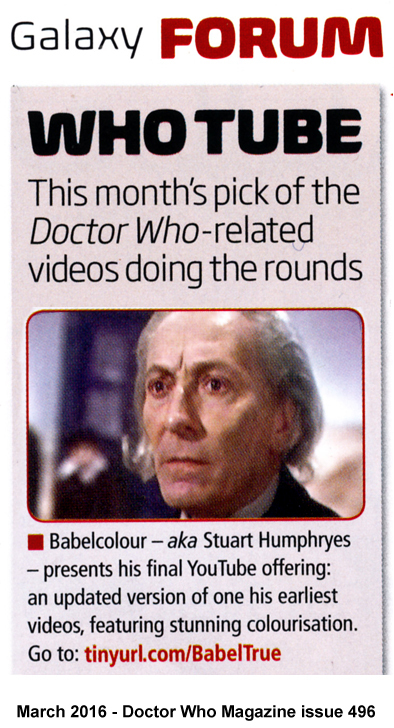 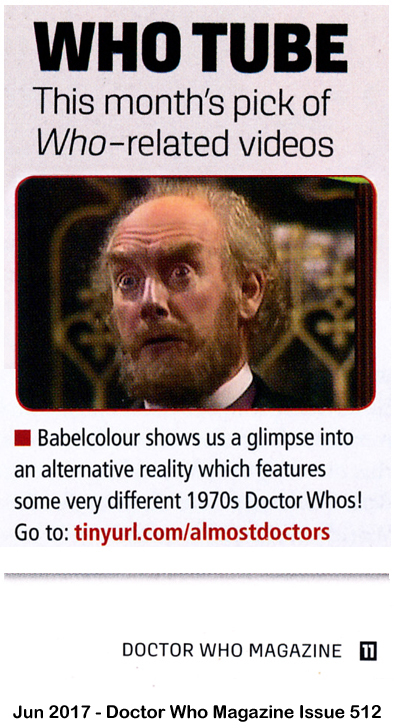 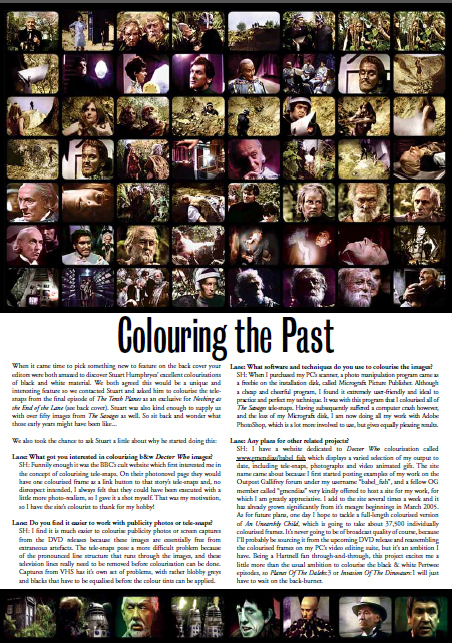 Also spanning back almost 30 years are some amusingly ancient cuttings from Doctor Who Monthly, regarding a very embryonic Babelcolour eager to ask questions!